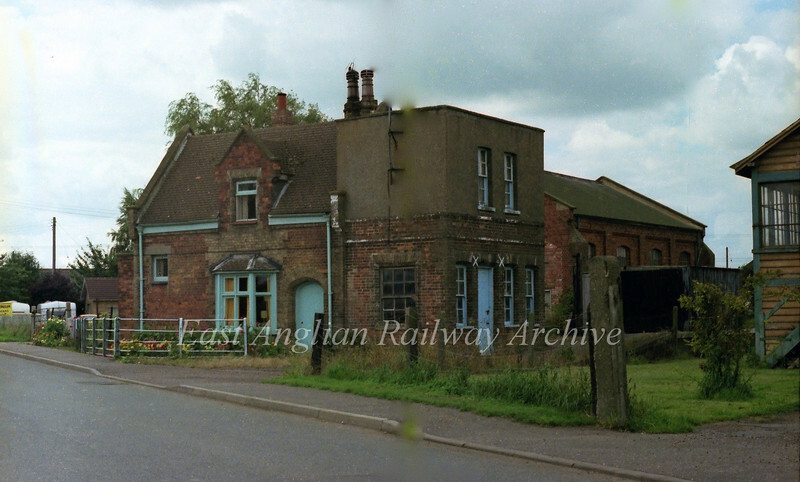 Smeeth Road, (Norfolk) station buildings on the Wisbech to Magdalen Road branch on 16th August 1978. The station is of rather unusual design and still exists as a restored private house. Note the goods shed behind the house. Passenger services here ceased on 9th September 1968. The station served the village of Marshland St James. Had a few problems with photoshop on this one.